OH MY GOSH that is amazing! I love it! That is so cool that you still have it. I wish I still had at least one of my childhood Barbies or toys in general… but I doubt it. Some of my legos might be rolling around with my little brother’s. You can thank my Grandmother, and then my Uncle, who preserved a bunch of my “treasures” in an old hamper. They have only recently come back into my posession. Now what was it I originally wanted to say? Oh yes, JUNGLE KITTYYYYYYY! Yes, that is indeed a toilet paper roll doll. I made it when I was six. 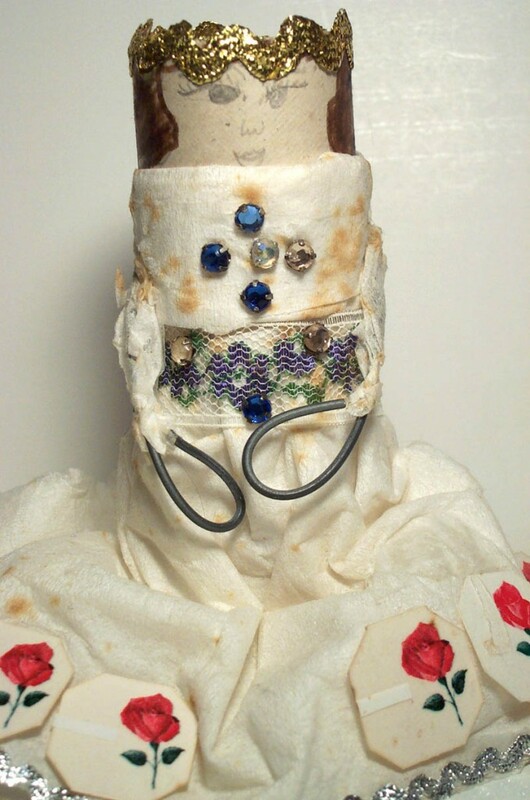 And her arms are made out of wire, her dress out of kleenex, with little rose tea tabs as decoration around the hem. It is precious to me!